The content displayed on this website (www.reversephonelookupreviewer.com) is purely for informational purposes only and should not be misled to be thought as advice on which reverse phone lookup services you must choose to purchase. Its entirely up to you to do extensive research on each provider to be able to make an informed decision, before you commit to any paid membership services. On our homepage (www.reversephonelookupreviewer.com), we have personally reviewed the top 5 reverse phone lookup providers and ranked them in terms of success rate, customer service response times, usability, features and price. Our personal opinions of these providers should not be taken as advice on the best provider, as each individual who uses each service, may not have the same results. Its essential that you are aware that the ratings are at the sole discretion of the webmaster. In order to provide accurate ratings, we maintain accounts on the top 5 reverse phone lookup providers that we display on our website. We run several tests on each provider including success rates, customer service response times, usability, features and price. These tests take place on a monthly basis, to ensure each company reflects the reviews you read throughout the site. 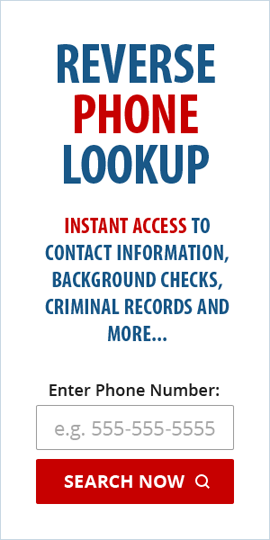 We also declare that we receive monetary payments (affiliate commission) for any premium tracer reports or membership options you purchase from Phone Detective, InteliGator, eVerify, Reverse Mobile & Phone Registry. Payments are processed on each of the vendors websites who utilise Clickbank as their payment processor and affiliate tracking provider. You must understand that the affiliate commissions we earn from the providers we recommend, will never effect the way we rank each provider on our website. Our sole intention is to provide information regarding the popular reverse phone lookup providers that we believe will benefit the visitors & readers of our website. We make it our priority to provide information as accurately as possible, but we cannot provide any warranty of the accuracy of any information provided on this website. We cannot be held responsible for any issues you have with any of the providers we display on this website. The policies on each provider we list on our website may vary, so please read each policy and agree before making any purchases.